To sponsor Tim visit www.justgiving.com/Timmy-Johnston or just text TIM88 to 70070. A Llanelli student is taking on Wales’ highest mountain, not just once but three times in less than 24 hours later this month, to support a project that tackles poverty in Tanzania. 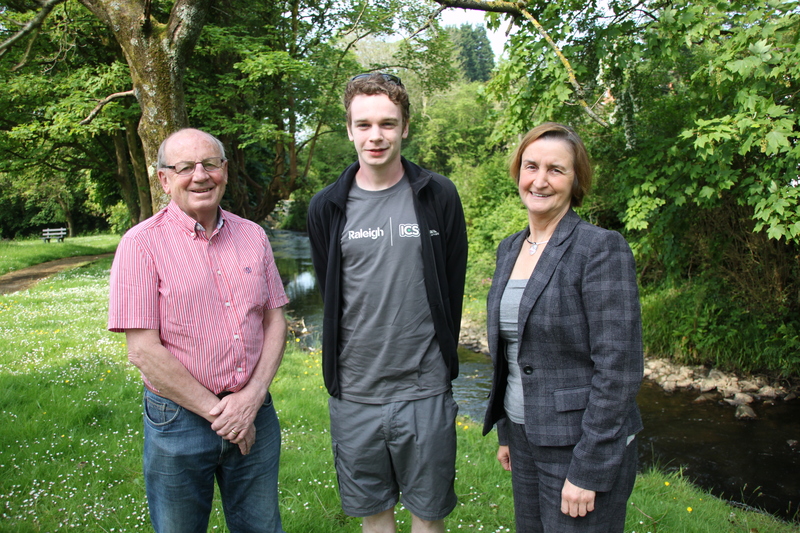 20 year old Tim Johnston, who lives in Llanelli town centre will travel to Tanzania in June to work on a development programme that aims to bring clean drinking water and sanitation to the poorest people on the African continent. So impressed with Tim’s effort and enthusiasm to volunteer for the project, he has won the support of Llanelli AM Keith Davies and the town’s MP Nia Griffith. Over the summer, Tim will team up with Tanzanian volunteers to tackle some of the problems facing the local community, after getting a place on the government funded International Citizen Service (ICS). ICS allows young people aged 18-25 to contribute to long-term development projects in countries like Burkina Faso, Sierra Leone and Nepal. The scheme offers young people the chance to develop personally and learn about team working and leadership on projects that are of genuine value to communities around the world. But to complete his mission, Tim needs to provide funding towards the project which is part funded by the UK Government. Keith Davies AM said: “I wish Tim all the best. He is giving up his summer holidays to help others much less fortunate than we are in Llanelli. We take for granted being able to turn on a tap for water or to flush the toilet. Access to clean drinking water and sanitation will hugely improve the health of people in Tanzania but will also help these people to develop themselves too. To find out more about ICS or to apply, visit www.volunteerics.orgor call 0208 780 7400.